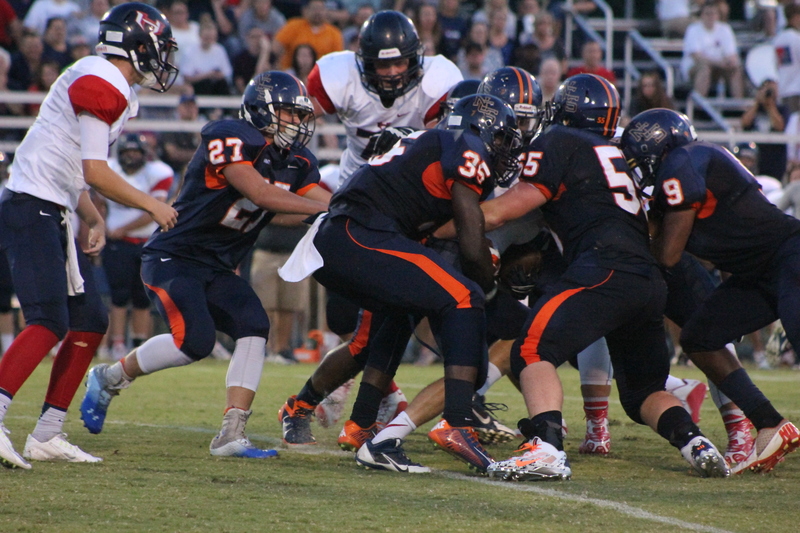 Nashville Christian hosted White House Heritage on August 28, 2015, for its first home game. There was a bigger than usual crowd rallying in support of the NCS Eagles, but also for their beloved, Mickey Martin. MM7 shirts were worn by most everyone in attendance to remember and show love in honor of Mickey. That seemed to do the trick. The Eagles then kicked off to White house to start the second half and forced a three and out. On the punt, Lelan Wilhoite took the kick all the way to the endzone, thus putting the Eagles up by six. With two more scores by the Eagles and one score late in the game from White House Heritage. the final score stood at 20-7. This was a great game and a nice win against a tough team. NCS will be back in action next week September 5, 2015, when they play on the road at Tennessee Tech facing Monterey.